Pool Maintenance by Lester Pools Inc. 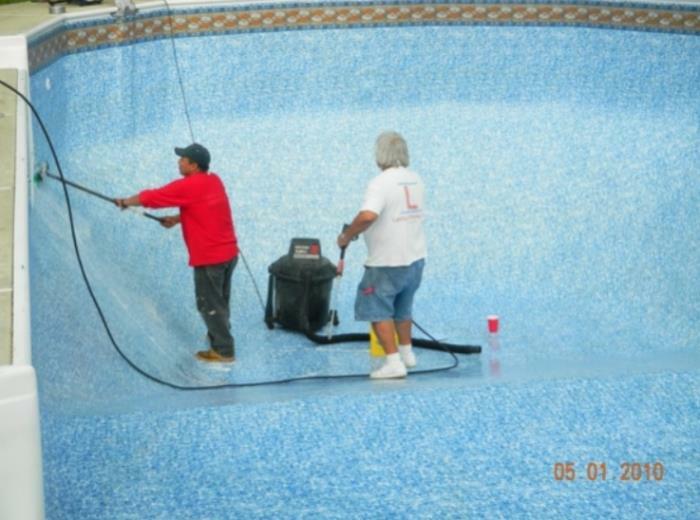 It is important to maintain your pool throughout the year, and we do it all! Keep your pool in exceptional shape with a maintenance package offered by Lester Pools Inc.. We perform full service pool cleaning, equipment inspection, and routine pool maintenance on a regular basis. What Pool Maintenance Services can we provide? Lester Pools Inc. has been providing pool maintenance and pool cleaning services at a high level since 2007. Whether your pool is in need of regular simple chemical treatments or a full maintenance plan, we're the only name you need to know to keep your pool water sparkling clean. Quality is the number one priority at Lester Pools Inc.. Your pool deserves the best! Our top-notch, personalized service is conducted with your family's needs in mind. Call us today at (732) 201-4521 and find out how we can help you.